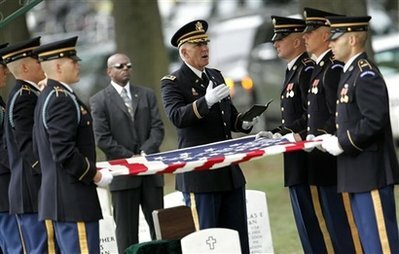 The Department of Defense announced today the death of three soldiers who were supporting Operation Enduring Freedom. They died from wounds suffered when insurgents attacked their vehicle with an improvised explosive device August 2, 2009 in Qole Gerdsar, Afghanistan. All three soldiers were members of the Mississippi Army National Guard, and assigned to the 2nd Battalion, 20th Special Forces Group (Airborne), Jackson, Mississippi. For more information media may contact the U.S. Army Special Operations Command public affairs office at (910) 432-6005; after hours (910) 689-6187, or visit http://news.soc.mil. "We once again are painfully reminded of the high cost of freedom," Maj. Gen. William L. Freeman Jr., adjutant general of Mississippi, said Tuesday in a news release. 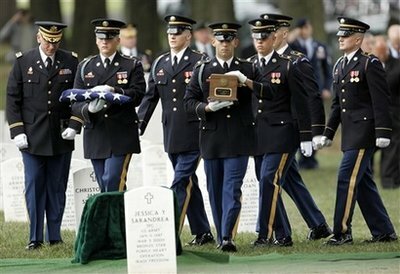 "Severin and Alejandro were two of the best soldiers in the Mississippi Army National Guard and will be greatly missed." Summers lived in Natchez, but served in Bentonia as the Mississippi Special Forces recruiter. A message left with his family by The Associated Press was not immediately returned. He was one of three brothers serving in war zones. One brother is based in a different part of Afghanistan and another is in Iraq. A family friend tells The Natchez Democrat that Summers left for a second tour in Afghanistan on July 2. Phyllis Beach says Summers' wife, Tammy, learned of her husband's death Sunday and was in Dover, Del., when her husband's body was returned to the U.S. The two were last in contact by e-mail Saturday. "They were that perfect couple," Beach told the Democrat. "She met him right before he was deployed three years ago. They were soul mates." The couple was married Jan. 17. Summers also is survived by a 13-year-old daughter and his parents, all of whom live in Louisiana, and three brothers and a sister. 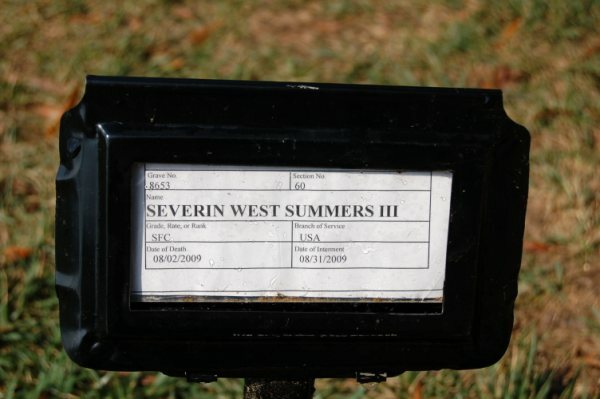 Sergeant First Class Severin W. Summers, died while conducting combat operations in the Qole Gerdsar, Afghanistan August 2, 2009, while serving as a Special Forces Engineer with Charlie Company, 2nd Battalion, 20th Special Forces Group (Airborne), headquartered at Jackson, Mississippi. Summers, 43, was killed by command wired improvised explosive device struck his vehicle while deployed to Afghanistan in support of Operation Enduring Freedom. Summers, born in Lafayette, Louisiana, enlisted in 1989 as an 11B, Infantryman. 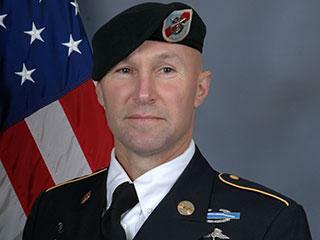 He later attended the Special Forces Qualification Course, graduating in 2002. Summers then joined 2nd Battalion 20th SFG (A). After graduating US Army Ranger School successfully, he was assigned to ODA 2065, the SCUBA team. He then volunteered for the Special Operations Combat Diver Course in Key West, Florida. 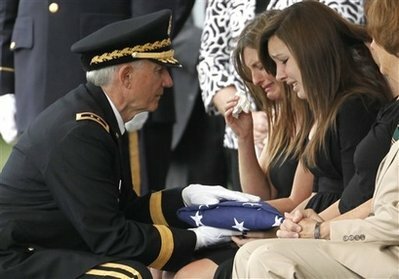 His awards and decorations include Army Commendation Medal, Army Achievement Medal, Army Reserve Components Achievement Medal, National Defense Service Medal, Global War On Terrorism Service Medal, Noncommissioned Officers Professional Development Ribbon, Army Service Ribbon, Overseas Service Ribbon, and Armed Forces Medal. Summers also earned Parachutist Badge, Air Assault Badge, Pathfinder Badge, Scuba Diver Badge, and Military Free Fall Badge and the Ranger and Special Forces tabs.